I was recently called a “seasoned mom” by someone I respect in the homeschooling community. Of all the labels that you could slap on me, this one felt good and comfortable. 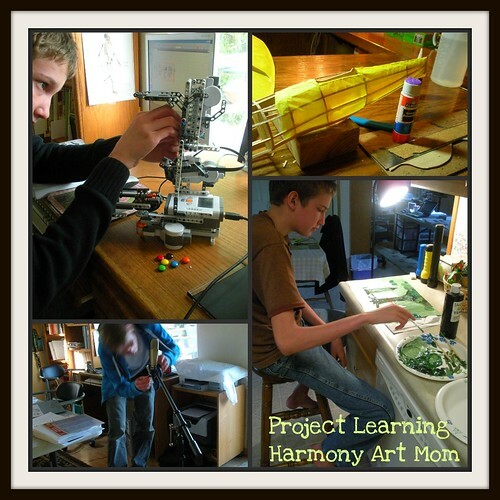 I am a seasoned homeschooling mom with lots of experiences behind me. I decided that as a mom of many who has graduated three and is still homeschooling one, my job is now to share my journey and my adventure with other moms who are coming behind. I do not think that homeschooling in high school is for every child or every family. But, I do think that if you allow the opportunity and can find ways to support your style of homeschooling, your family will flourish. There is a need for community among moms who are making their way towards high school along with their children. The message of hope is that although continuing to homeschool through high school is a challenge, it is not impossible to do and to do well. I am a different mom than I was ten years ago and you will be too. Your children will be older and you will have developed in them some good habits and skills that will make homeschooling through high school easier than you imagine. Hopefully, as the numbers of “seasoned” moms increase there will be more sharing and encouraging of ideas. Our family has found a combination of academic and project or interest-driven learning is the key to the best high school experience. Spring is the time of year when we begin our planning so keep this tip in mind as you begin mapping out next year’s schedule. We have used two different types of weekly schedules successfully. Monday through Thursday schedule for focusing on academic courses with Fridays kept for personal interests. Homeschooling in high school is a very efficient use of time and with no need for homework in the evenings there is room for your high schooler to include interest-driven learning in the late afternoons, on Friday, and in the evenings. Traditional Monday through Friday schedule with mornings for academics and afternoons for projects and exploring interests. This plan for homeschooling in high school allows a daily balance between academic learning and personal interests. You can get a glimpse of how I work this in our family in this post: Daily Routine. An example from my son’s senior year can be seen in this post: High School Routine. My sons have used their project time for volunteer work as well as courses in robotics, aviation, videography, auto shop, driver’s education, welding, and culinary arts. Perfect timing for planning as you said. (With more in the seasoned mom series to come – hooray!) Thank you. As I look at starting our 7th year next year, I am struggling with how to balance our ‘curriculum’ (what I have planned to do) with interests of the moment (something we’ve seen or are going to see, like for a trio, and want to learn more about). I know for me, this year, I’ve over following my interests and have learned lots! But, especially in history, most people follow a plan. Always the balance from the Academics to the interest led . . . I have found this a challenge at times. The mental focus on his project, can push away the quality of the written work. This has been the biggest year of shift for us – into a better balance, maturity. Looking forward to official High School ages next year! I love your ‘tag’! You have blessed so many homeschool moms – shining the way ahead for us! We also have one day each week for fine arts, crafts, hobbies and projects. But your family has taken it to a whole new level! Thanks! This was helpful for me. I have been thinking about doing our schedule similarly and now I think I will try it. Thank you for sharing your wisdom with us, Barb. Barb, your point that there needs to be a community of homeschoolers whose children are older (headed to high school) resonated with me. I’ve found as I’ve leapt into the blogosphere that there are numerous blogs of moms with younger children and far fewer of moms of older children. Don’t get me wrong: the preschool/early elementary years are precious, adnd there are some fabulous blogging moms out there passing on information to others in their same boat (or soon to be). As my children get older, though, I’m hungering for ideas and reflections that speak more to our family’s season. Your blog heads my list. But some more would be wonderful, too! Perhaps we could get together a list. Somehow. P.S. My Kona coffee is long gone. I’ve tried some others, including an organic Ethiopian from the farmers’ market, and it’s *fine. * But. A friend is vacationing on the Big Island this summer; I’m going to ask her to buy me some! I have thought about it a lot and I have come to the conclusion that many families go to a more “traditional” style of homeschooling for high school because it is “safe”. They know their bases are covered. I aim to do my part and leave some tracks for those coming behind.